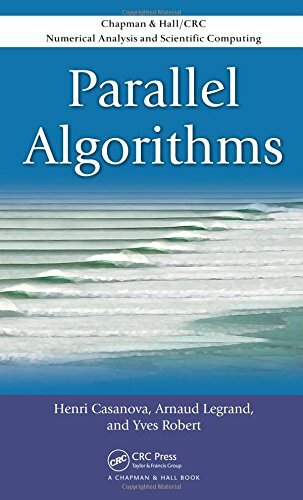 Parallel Algorithms by Henri Casanova, et al. by Henri Casanova, et al. The aim of this book is to provide a rigorous yet accessible treatment of parallel algorithms, including theoretical models of parallel computation, parallel algorithm design for homogeneous and heterogeneous platforms, complexity and performance analysis, and fundamental notions of scheduling. The focus is on algorithms for distributed-memory parallel architectures in which computing elements communicate by exchanging messages. The purpose of this book is to help you understand how to program shared-memory parallel machines. By describing the algorithms that have worked well in the past, we hope to help you avoid some of the pitfalls that have beset parallel projects.